Double your outreach possibilities! These bilingual Bibles contain side-by-side Bible versions in two different languages. Perfect for readers who are struggling with a new language, these texts are also great for in-depth parallel Bible study. The Bible that we recognize today is compilation of various early original texts that were written in Greek, Latin and Aramaic. So, from the very beginning, the Bible has always been based on multilingual interpretations of original texts. Today’s bilingual Bibles are almost exclusively a simple line-by-line parallel presentation of two different established Bible versions with texts in two different languages. Double the impact of outreach and evangelism with this bilingual NIV/NVI edition. The Spanish and English translations make it a great investment. In single or case quantities. Enhance understanding with this bilingual NIV edition. 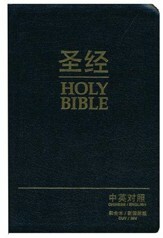 Chinese and English translations are side by side in this economically priced paperback that is great for evangelism. 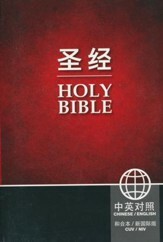 A hardcover tool for the ultimate outreach, this Chinese Union Version (CUV) and NIV bilingual text provides an amazing resource. Priced singly or by the case for savings. Double the reach of your evangelical programs when you use this bilingual text. 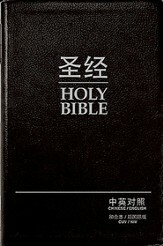 The popular Chinese Union Version (CUV) alongside NIV makes for a far-reaching resource. La Nueva Versión Internacional y la New International Version de la Biblia están juntas en una edición paralela, bilingüe, y ahora con una tapa del dos tonos italiano color vino. Bilingual Bible. Sometimes the two versions are taken from Bibles with a very similar interpretation – such as the Nueva Versión Internacional (NVI) and New International Version (NIV). Conversely, there are also bilingual Bibles whose original texts draw from very different historical interpretations such as the Nueva Versión Internacional (NVI) and the King James Version (KJV). These two texts are nearly 500 years apart and the language clearly illustrates this fact and how language evolves over time. If you go all the way back to the Old Testament, you can see from the earliest days of the Bible, as Christianity grew and spread, there has always been a need to translate His Word into the many languages. This spawned Greek, Latin, French and Germanic versions very early on in the life of the Bible. Johannes Gutenberg’s development of the moveable print printing press in 1440 was one of the watershed moments for the modern Bible. This device accelerated the interpretation and distribution of the Bible while increasing literacy and access to the written word1. These new reader’s demanded Bibles in many different languages. Eventually, these demands were widened to include multilingual Bibles. Our most typical bilingual pairing is English/Spanish but we occasionally have others such as Chinese/English, Finnish/English and Arabic/English. This layout is excellent for comparative Bible study. Some versions may also include Psalms and Proverbs.